Life is better with music! The Fiddling Fisherman operates out of Souris Marina (July-October) in the beautiful Town of Souris, Prince Edward Island. Call or email us today to reserve your Authentic Island Experience. Please feel free to visit us at the docks this summer or check out the Souris Marina Live Cam! Runs July 1 – September 30, 2019 out of Souris Marina. Here they are... Fiddling Fisherman SPOONS! Made by J.J. from lobster trap posts in a stained or natural finish! Available now for $20 plus shipping (if needed). Great authentic gift for the music lover! 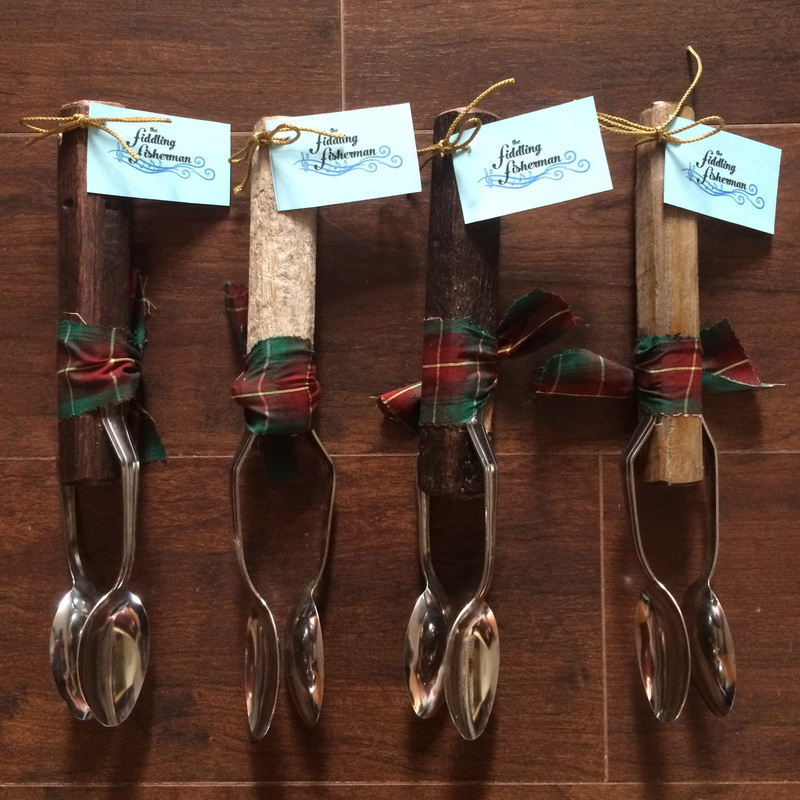 These spoons will be a part of the Jigs & Reels experience this summer onboard the Chaisson A Dream! Join us for a fishing boat ceilidh surrounded by the sea, red cliffs, step dancing, set dancing, yummy eats, and the best music you will ever hear. 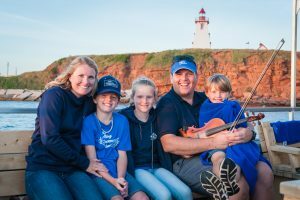 Get to know PEI music and fishing culture and see why this is more than something we love, it’s who we are. And now you get to experience it up close and personal.